The Bari Dining Table offers an awe-inspiring addition in a modern dining space, and perhaps it's easy to understand why. This dining table includes four angled crystal clear, non-retracting glass legs that are sure to capture your attention. It also features a spacious top of wood or concrete that gives the table a "floating" appearance. Pick up a dining table that will make a bold statement day after day � the Bari Dining Table. 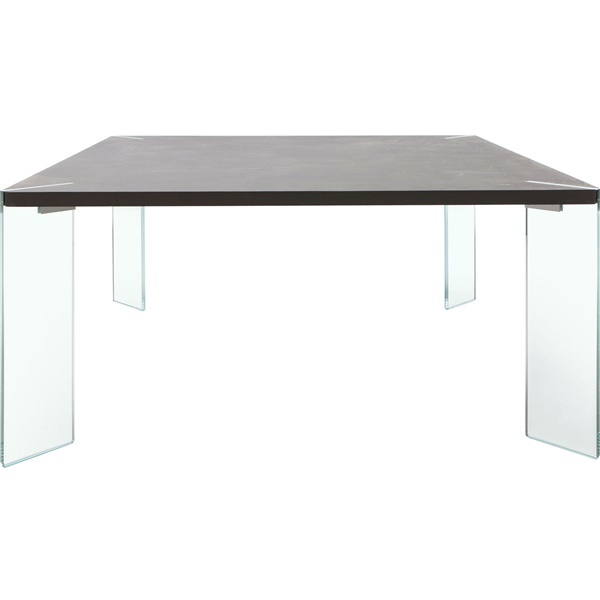 Four angled crystal clear, non-retracting glass legs help give the dining table a one-of-a-kind appearance. Top consists of concrete or wood for immense quality. Top offers ample space for up to eight guests. Table dimensions are 59" W x 59" D x 30" H.